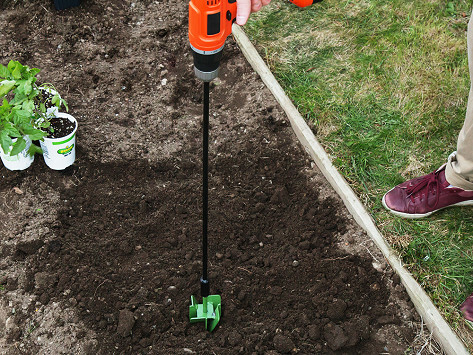 With a garden hole digger fitted onto your power drill, the digging-and-planting job is made easier—and faster. Add on this 25” extension piece and you can make those perfectly round, flat-bottomed holes while you’re standing up. Dimensions: 25" x 1" x 1"
Love this garden tool. It’s so nice to be able to dig small holes from a standing position! Not really needed but it was nice to minimize bending.